Karin Elisabeth Lind is the Country Director For DanChurchAid (DCA) in Kenya, and prior to that Country Director in Uganda, providing strategic and operational leadership to DCA’s humanitarian and development work. Karin is spearheading innovative initiatives in the humanitarian-development nexus focusing on cash-based interventions, digital solutions, financial inclusion and market development targeting refugees and host communities. Karin is initiating and leading new private sector partnerships for investments in value chain and market development in refugee hosting areas. 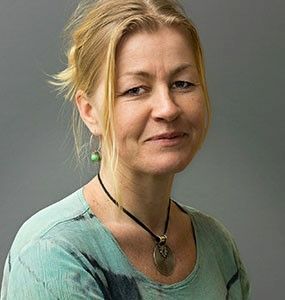 Karin has 18 years’ experience and has previously worked for Care International and the Danish NGO Forests of the World, latest as the executive director.